7"EP from '04 by this spanish band of raw Black Metal with two new songs and a cover of ONSLAUGHT. 2nd album from '07 by this US band featuring norway's Pest (ex-GORGOROTH/ OBTAINED ENSLAVEMENT) on vocals which was recorded in '02, even before their 1st album. A raw Black Metal pretty much in the vein of DARKTHRONE's "Transylvanian Hunger" and the likes. CD released in '04 by this swedish band of raw, melancholic and agonizing Black that includes their 7"EP "Submit to Selfdestruction", their split with DOLORIAN and various rare and unreleased tracks. 1st album from '92 by this legendary finnish band of holocaustic Black Metal. A classic!! 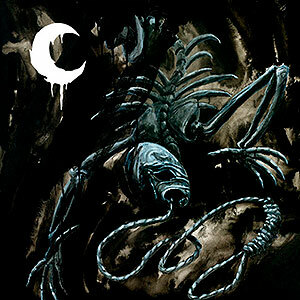 Official re-issue of the 10-song demo '96 "Morte Lune" by this legendary cult french band that plays a raw and primitive Black Metal that never released any album, but quite many demos. 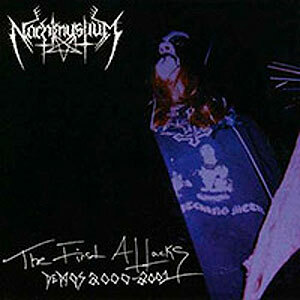 Vinyl version in 2-LP in clear wax with black splatter and gatefold cover of the 3rd album from '05 of this veteran US band of raw, cold, chaotic and mystic Black Metal with slow, ambient and depressive parts. Vinyl version in 2-LP in red wax with white splatter and gatefold cover of the 4th album from '08 of this veteran US band of raw, cold, chaotic and mystic Black Metal with slow, ambient and depressive parts. 4th album from'02 by this russian band that plays a raw and cold Black Metal with feeling and influences from bands like DARKTHRONE, BURZUM, MAYHEM... In fact they influde a cover of the song "Deathcrush". 6th album from '06 of this russian band that plays an epic and raw Black Metal with influences in the vein of DARKTHRONE, BURZUM, IMMORTAL... excellent sound, very recommendable! !